China is the top seed in the mixed team in next month's Pembangunan Jaya Raya Badminton Asia Junior Championships in Bintaro, Jakarta from July 14-22. Hosts Indonesia is seeded second while South Korea and Thailand are seeded three and four respectively. The seedings are based on overall team strength (Badminton World Federation Junior ranking) dated 21st June 2018. A total of 15 teams will compete in the mixed team championships which will be played from July 14-17 before the individual events fromJuly 18-22. 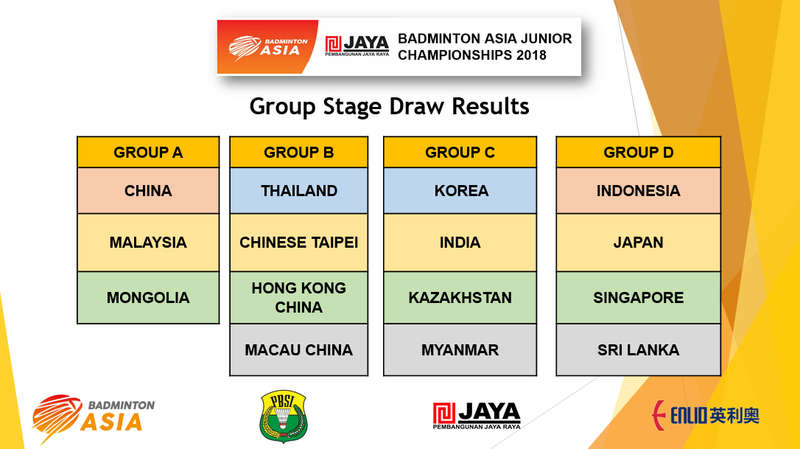 The other teams in the Badminton Asia Junior Championships are India, Malaysia, Chinese Taipei, Japan, Singapore, Kazakhstan, Hong Kong China, Mongolia, Sri Lanka, Macau China and Myanmar. In the draw released in Kuala Lumpur on Tuesday, the Chinese were drawn in the three-team Group A together with Malaysian and Mongolia. Defending champions South Korea, who beat Indonesia 3-2 in the final last year, were drawn in Group C and have India, Kazakhstan, and Myanmar for company. Indonesia is Group D with Japan, Singapore, and Sri Lanka while Thailand, Chinese Taipei, Hong Kong China and Macau China complete Group B. The top two teams in each group will advance to the knockout stage. In the semi-finals last year the Koreans beat Japan 3-1 and Indonesia outplayed Malaysia by a similar margin. 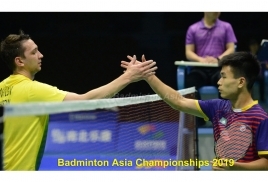 In the individual events, Malaysia's Leong Jun Hao defeated China's Bai Yupeng 21-6, 20-22, 21-17 for the boys' singles title while the girls' singles went to China's Han Yue with a 21-15, 21-13 win over Thailand's Pattarasuda Chaiwan in the final.